Since the winter term 2018/19, Prof. Dr. Tassilo Schuster holds the Professorship for Business Administration, especially for the Economy of Japan at the Munich School of Mangagment (LMU München). Information on the professorship and its research focus can be found here. The Journal of Management Information Systems (JMIS) will publish the paper „The Impact of Mental Representations on ICT-Related Overload in the Use of Mobile Phones“ by Schöller Senior Fellow Carol S. Saunders (Northern Arizona University), Martin Wiener (Bentley University), Sabrina Klett (FAU Erlangen-Nuremberg) and Sebastian Sprenger (FAU Erlangen-Nuremberg) in its December Issue. JMIS is ranked as one of the three top-tier Information Systems journals and one of the 50 leading scholarly journals on the Financial Times FT50 list. The use of information and communication technology (ICT) can be accompanied by the epiphenomenon of ICT-related overload, or the emotional and cognitive state that occurs when individuals are unable to efficiently retrieve and process information delivered by or associated with these technologies. While prior research tends to ascribe this phenomenon to the amount of information delivered, the study presents and provides significant empirical support for an expanded cognitive perspective of ICT-related overload, which views individuals’ information-processing capabilities as being reliant on differences in mental representations associated with cultural, demographic, and experiential factors. The Academy of Management Journal – one of the leading outlets for management research worldwide – has accepted the paper “Silver Bullet or Ricochet? 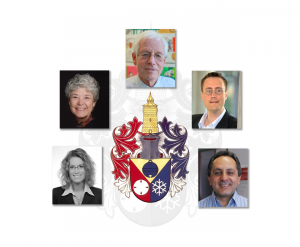 CEOs’ Use of Metaphorical Communication and Infomediaries’ Evaluations,” by Schöller Fellow Andreas König, Jan Mammen (FAU Erlangen-Nuremberg), Johannes Luger (University of Sankt Gallen), Angela Fehn (University of Bamberg) und Albrecht Enders (IMD Lausanne), for publication. The authors combine literature on rhetoric and socially situated sensemaking to illuminate the challenges that emerge when chief executive officers (CEOs) try to influence infomediaries by using metaphorical communication. 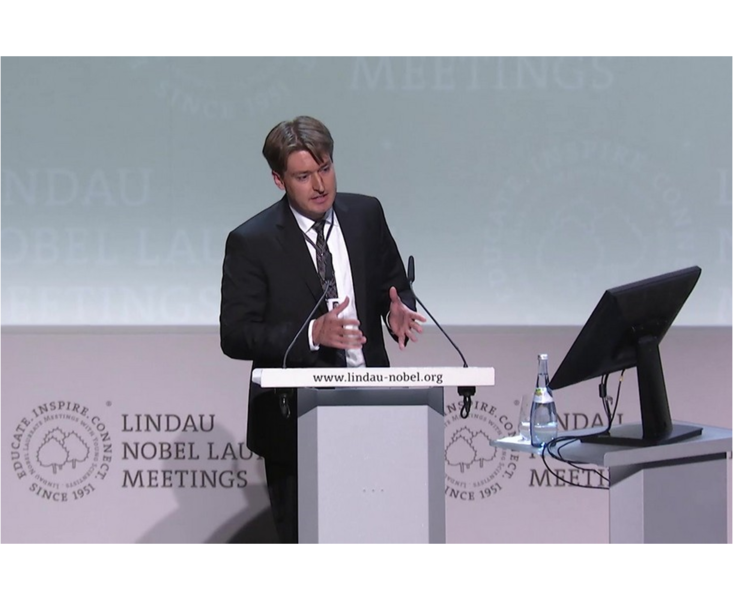 Schoeller Fellow Dr. Alexander Bohnert presented his research project on Enterprise Risk Management at the 6th Lindau Meeting on Economic Sciences to selected Young Economists and the Nobel Laureates Peter A. Diamond, Oliver Hart, Bengt R. Holmström, Daniel L. McFadden und Myron S. Scholes. Together with the Schoeller-Foundation and the City of Nuremberg, the Schoeller Research Center celebrated “100 years Dr. h. c. Theo Schöller” on June 20, 2017 in the Historical Council Chamber of the City of Nuremberg. 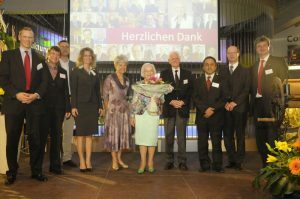 In the course of this event the Schöller Fellows 2017 were introduced and honored. Impressions of the event can be found at our photo gallery and our Youtube. This year’s Schöller Senior Fellow is Prof. Samir Chatterjee, Ph.D. (Claremont Graduate University). 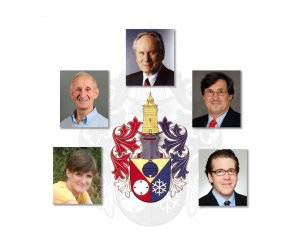 Schöller Fellows 2017 are Dr. Lorenz Graf-Vlachy (University of Passau), Dr. Tim Alexander Herberger (University of Bamberg), and Dr. Cynthia Sende (University of Erlangen-Nuremberg). 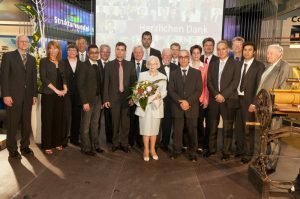 The Award Ceremony will take place on June 20, 2017 at the Historical Council Chamber of the City of Nuremberg. Application deadline is December 31, 2016. The paper “Do Norms on Contribution Behavior Affect Intrinsic Motivation? Field-Experimental Evidence from Germany” by Prof. Dr. Nadja Dwenger (with P. Boyer & J. Rincke) will be published in the Journal of Public Economics which is considered as one of the most prestigious scientific journals in the field of public economics. 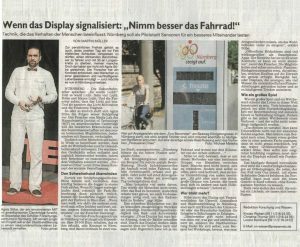 The local Nuremberg Newspaper “Nürnberger Nachrichten” introduced Schöller Fellow Agnis Stibe’s research project “Nuremberg – a Persuasive City for Sustainable Wellbeing and Innovation” in its issue of September 5, 2016. According to Stibe, quality of life in Nuremberg can be improved through reshaping and advancing urban spaces with seamless persuasive and socially influencing strategies, thus empowering communities to succeed in achieving sustainable wellbeing. His project aims at helping people to acquire healthy and resource-efficient everyday routines through persuasive urban interventions that facilitate societal changes at scale. The project seeks to create socially engaging environments supporting wellbeing and innovation through reshaping behavioral patterns, intelligent outdoor sensing, interactive public feedback channels, designing responsive neighborhoods, and fostering adoption of novel experiences in Nuremberg. 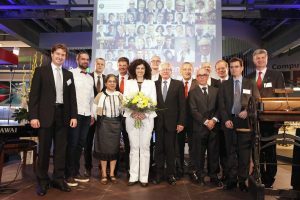 In the course of the Award Ceremony of the Schöller Research Center on June 2, 2016 at the Museum for Industrial Culture in Nuremberg this year’s Schöller Fellows were introduced and honored. Impressions of the event can be found at our photo gallery and our Youtube-Channel. This year, Prof. Evangelia Demerouti, Ph.D. (Eindhoven University of Technology) will be awarded Schoeller Senior Fellow. 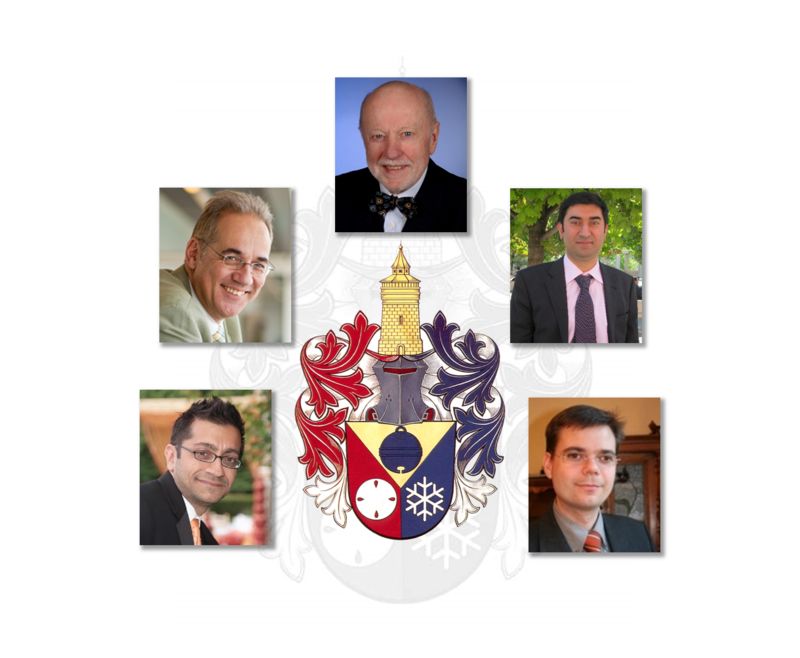 Schoeller Fellows 2016 are Dr. Alexander Bohnert (University of Erlangen-Nuremberg), Prof. Dr. Christian Pescher (University of Erlangen-Nuremberg), and Dr. Agnis Stibe (Massachusetts Institute of Technology). The Award Ceremony will take place on June 2, 2016 at the Museum for Industrial Culture. To help patients make informed decisions regarding their care, Schöller Fellow Prof. Dr. Martin Emmert has introduced a hospital ranking which covers the quality of care in 49 hospitals in the Nuremberg region in 14 medical and surgical specialties. The ranking and the quality data from which it is derived highlight hospitals that perform best in specific areas of care. “The overall objective of the project is to increase the quality of care in the Nuremberg region”, says Prof. Dr. Emmert. The results of the ranking are published in the Nürnberger Zeitung (NZ) in its column “The Big NZ-Hospital Check”. 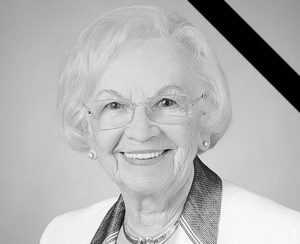 For further information, please visit the website of the Nürnberger Zeitung einsehen. 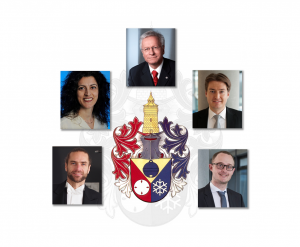 Since its establishment in 2009, the Dr. Theo und Friedl Schöller Research Center for Business and Society at the School of Business and Economics has granted research fellowships for 20 outstanding scholars for the realization of their research projects. It is our great pleasure to announce that the Dr. Theo and Friedl Schöller Foundation has decided to extend its support for the Center for another six years. We would like to thank the Schöller Foundation for their continued support and cooperation! Application deadline is December 31, 2015. Schöller Fellow Dr. Tassilo Schuster was interviewed by the local newspaper Nürnberger Nachrichten about his Schöller project on inpatriates. 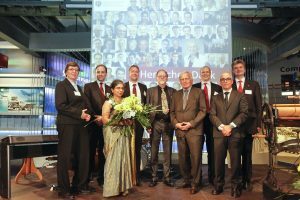 In the course of the Award Ceremony of the Schoeller Research Center on 11 June 2015 at the Museum for Industrial Culture, five excellent researchers were awarded with a Schöller Fellowship: Prof. Ian P. King and Prof. Nilmini Wickramasinghe were awarded Schöller Senior Fellows. 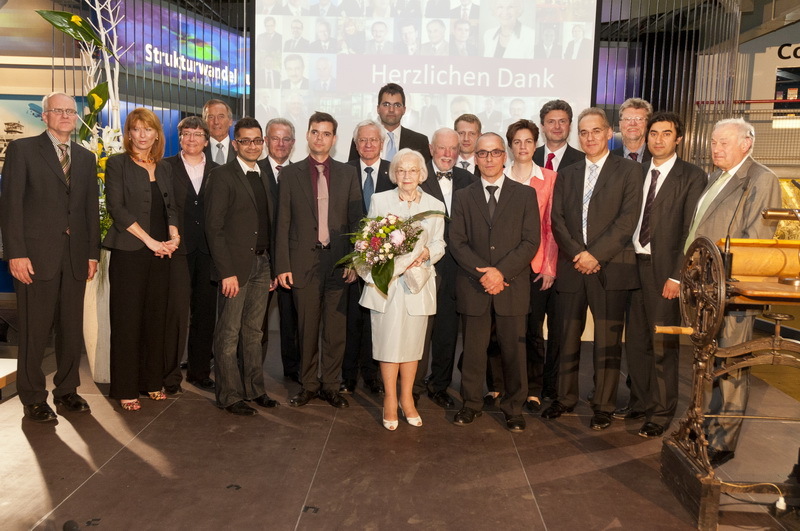 In the category Schöller Fellows Dr. Tassilo Schuster and Prof. Dr. Michael W. Stich were honored. The former Federal Minister of Economy Prof. Dr. Helmut Haussmann received this year’s honorary award for lifetime achievement. 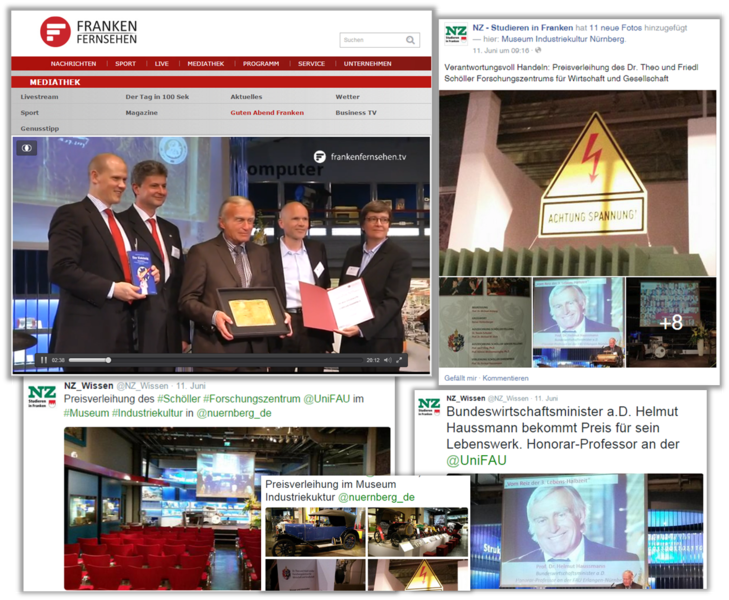 Local media reported about the Award Ceremony. 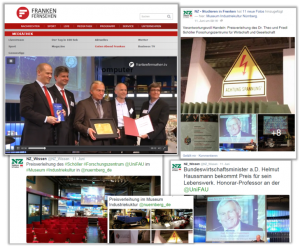 Franken Fernsehen published a video report about the Award Ceremony. 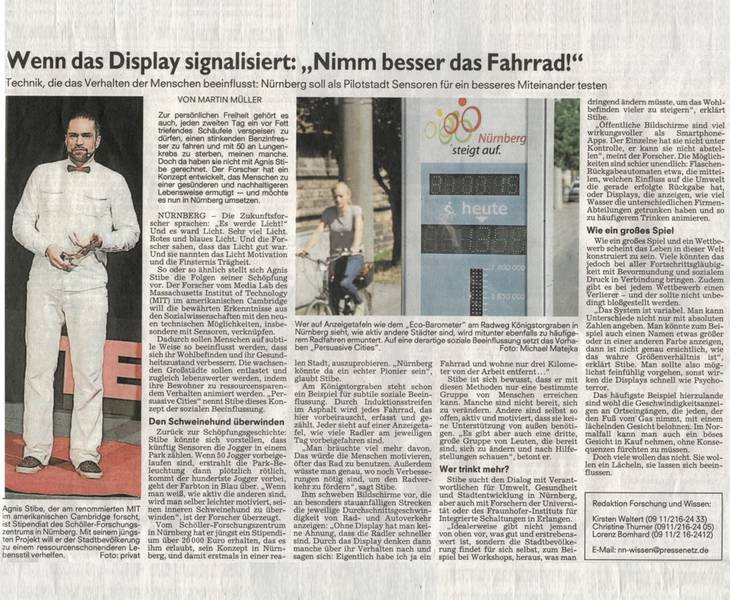 The Nürnberger Zeitung also posted about the cermony on Facebook and Twitter. In the course of the Award Ceremony of the Schöller Research Center on June 11, 2015 at the Museum for Industrial Culture in Nuremberg this year’s Schöller Fellows were introduced and honored. 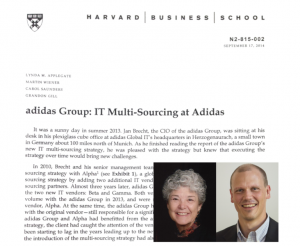 Since 2012, Schoeller Senior Fellow Prof. Carol Saunders (University of Central Florida) and Martin Wiener (FAU) have been accompanying the introduction of an IT multi-sourcing strategy by the adidas CIO Jan Brecht. First results of the still ongoing research project have now been published as a Harvard Business School (HBS) teaching case (together with Prof. Lynda Applegate, HBS, and Prof. Grandon Gill, University of South Florida). The teaching case describes the design and implementation of a novel IT multi-sourcing strategy and presents the management challenges that adidas experienced when switching form a single-vendor to a multi-vendor sourcing strategy. 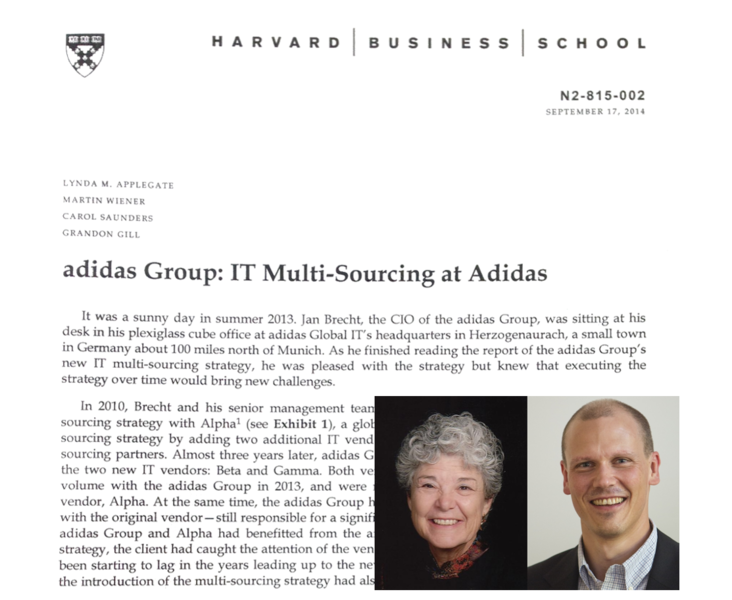 Based on their close cooperation with adidas, Carol Saunders and Martin Wiener were also able to publish a research article in the Journal of Strategic Information Systems (JSIS). JSIS is one of the international top outlets in Information Systems and is ranked as an “A” journal by the German journal rating VHB-JOURQUAL 3. The article “Forced Coopetition in IT Multi-Sourcing” introduces a new form of coopetition and shows how adidas successfully managed the delicate balance between high levels of both vendor competition and vendor cooperation. Schoeller Senior Fellow Prof. David Burgstahler will serve as president-elect of the American Accounting Association (AAA) for the 2015-16 academic year and as president for the 2016-17 academic year. The AAA, founded in 1916, is the primary professional association of accounting academics in the United States and throughout the world. The AAA publishes The Accounting Review, one of the discipline’s most influential journals, as well as a number of other peer-reviewed scholarly journals. This year, two renowned international scholars, Prof. Ian P. King, Ph.D. (University of Melbourne) and Prof. Nilmini Wickramasinghe, Ph.D. (RMIT University), will be awarded Schoeller Senior Fellow. Schoeller Fellows 2015 are Prof. Dr. Michael W. Stich (University of Erlangen-Nuremberg) and Dr. Tassilo Schuster (University of Erlangen-Nuremberg). The honorary award for lifetime achievement goes to former Federal Minister of Economy Prof. Dr. Helmut Haussmann. The awarding of the fellowships will take place during the Schoeller Award Ceremony on June 11, 2015 at the Museum for Industrial Culture. Application deadline is December 31, 2013. 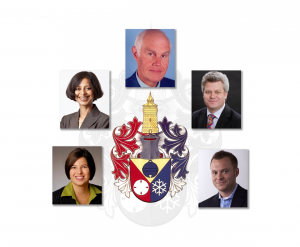 Schöller Fellow Prof. Dr. Martin Emmert has been awarded with the 2014/2015 “Harkness Fellowships in Health Care Policy and Practice” at Yale University. The Fellowship supports a one-year-research stay at the renowned Yale University. Harkness fellows work with leading U.S. experts to study health care delivery reforms and critical issues on the health policy agenda in both the U.S. and their home countries. 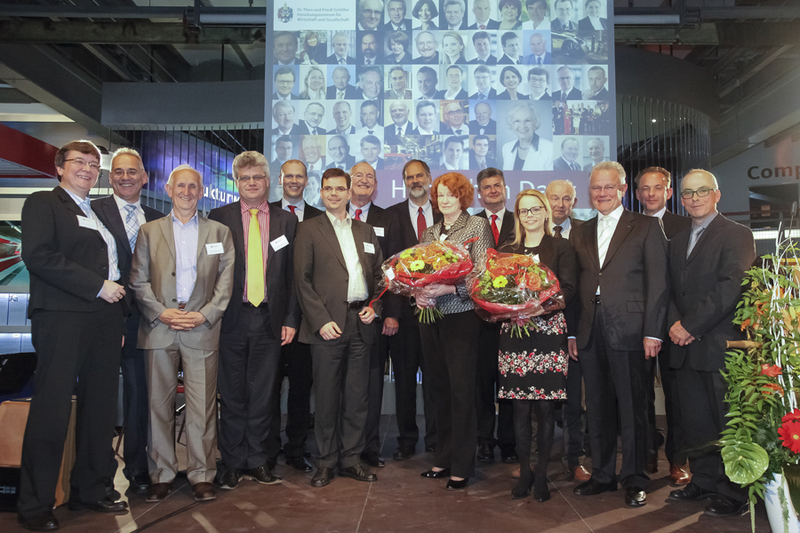 In the course of the Award Ceremony of the Schöller Research Center on May 22, 2014 at the Museum for Industrial Culture in Nuremberg this year’s Schöller Fellows were introduced and honored. 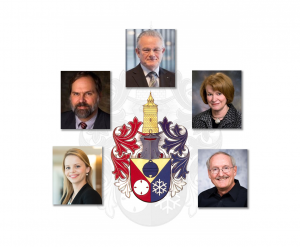 Prof. David Burgstahler, Ph.D. (University of Washington), Prof. Shirley Gregor, Ph.D (Australian National University) as well as Prof. Alan Hevner, Ph.D. (University of South Florida) were honored Schöller Senior Fellow. 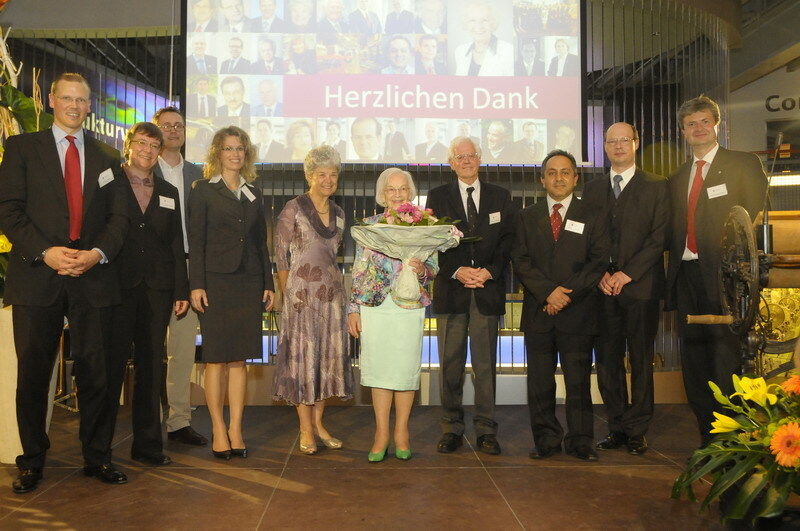 In the category Schöller Fellow Dr. Julia Klier (University of Regensburg) was awarded. Prof. Dr.-Ing. habil. Prof. E.h. mult. Dr. h.c. mult. 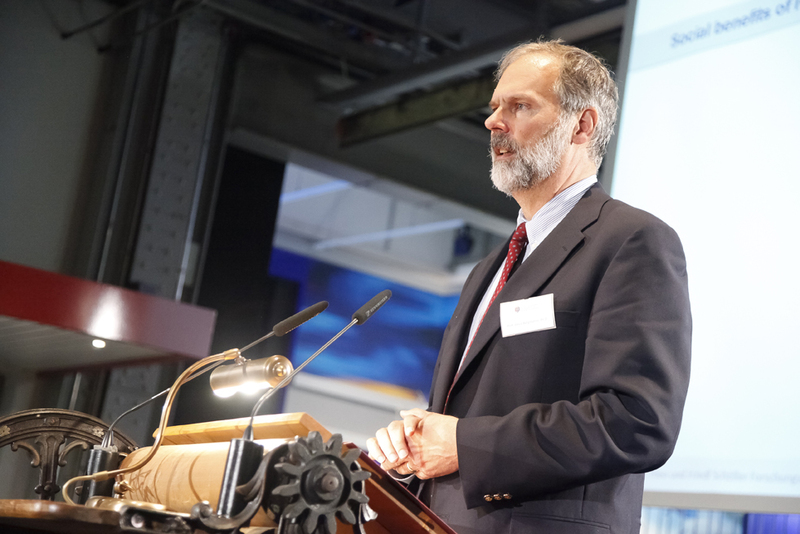 Hans-Jörg Bullinger received this year’s honorary award for lifetime achievement. What digital services do young people want for Nuremberg? Who better to judge than the “digital natives”, i.e. the young people who have grown up with the internet? 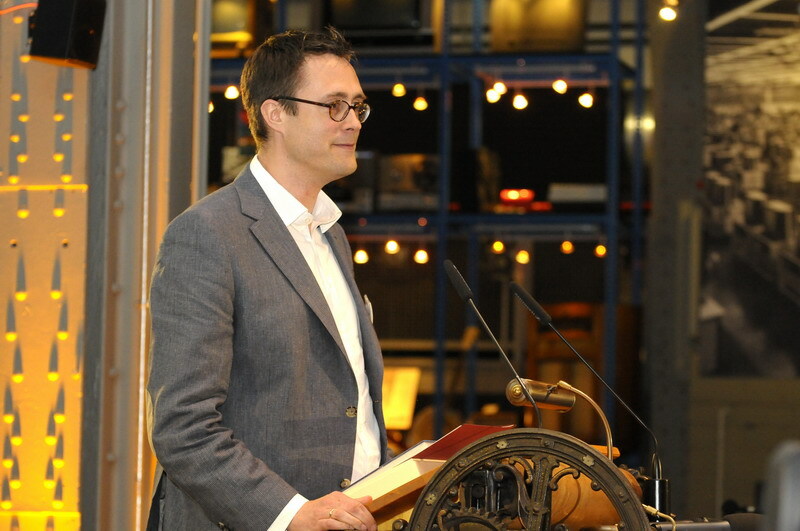 Together with the city of Nuremberg, we asked over 1500 students for their ideas. The result is a colorful array of creative ideas around the topics of “Infrastructure & Transport”, “Culture & Tourism”, and “Environment & Social Affairs”. 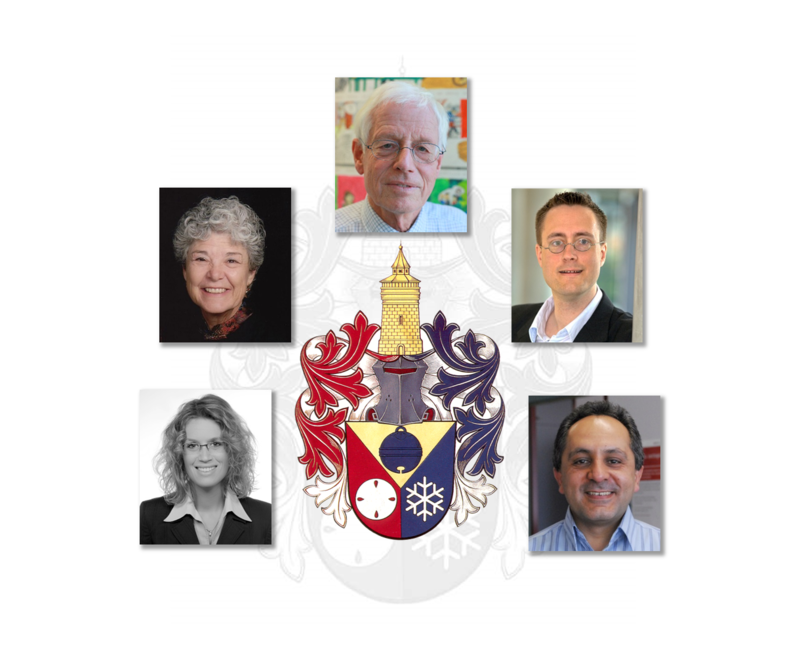 This year, three renowned international scholars, Prof. David Burgstahler, Ph.D. (University of Washington), Prof. Shirley Gregor, Ph.D (Australian National University) as well as Prof. Alan Hevner, Ph.D. (University of South Florida), will be awarded Schöller Senior Fellow. 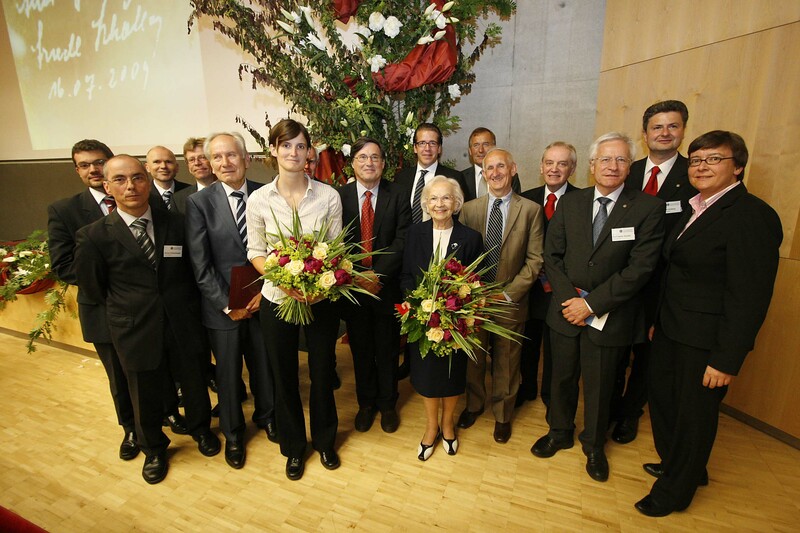 Schöller Fellow 2014 is Dr. Julia Klier (University of Regensburg). The honorary award for lifetime achievement goes to Prof. Dr.-Ing. habil. Prof. E.h. mult. Dr. h.c. mult. Hans-Jörg Bullinger. The awarding of the fellowships will take place during the Schoeller Award Ceremony on May 22, 2014 at the Museum for Industrial Culture. Andreas König, Professor of Technology, Innovation, and Entrepreneurship at the University of Passau, and his co-authors Alexander Wessels, Joanna Walton (both University of Erlangen-Nuremberg), Angela Fehn (University of Bamberg), Martin Weiss (University of Erlangen-Nuremberg), and Albrecht Enders (IMD, Lausanne) were recognized with the prestigious Glueck Best Paper Award by the Business Policy and Strategy (BPS) Division of the Academy of Management at the Academy of Management Annual Meeting in Orlando, Florida. The paper, entitled “Silver Bullet or Ricochet? CEO Metaphorical Communication Behavior and Analysts’ Evaluations,” has been selected as the best of 693 scholarly manuscripts submitted to the BPS Division for the Academy Conference this year. The authors study a large sample of U.S. companies to show that CEOs differ in their Metaphorical Communication Behavior (CMCB): their inherent tendencies to verbally convey thoughts and feelings by employing figurative language. Interestingly, and contrary to what has often been stated in textbooks on managerial communication, the authors find that CEOs scoring high in CMCB receive significantly less favorable analyst recommendations than firms led by CEOs scoring low in CMCB. Moreover, CMCB is associated with analysts’ tendency to underestimate firm earnings. The authors also observe that analysts’ tendencies to react negatively to metaphorical language are amplified by increasing uncertainty among analysts. The evidence suggests that the impact of figurative language in executive communication is more equivocal than traditionally portrayed. As such, the study adds to conversations in behavioral finance as well as leadership communication research. The authors recommend that executives gear their communication more specifically to the respective rhetorical preferences of various constituents, even though this may contradict a given leader’s rhetorical personality. They also develop a roadmap for future research building on their exploratory findings. 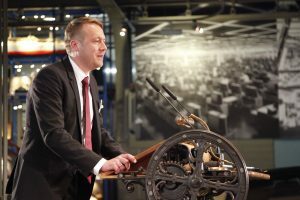 In the course of the Award Ceremony of the Schöller Research Center on May 15, 2013 at the Museum for Industrial Culture in Nuremberg this year’s Schöller Fellows were introduced and honored. 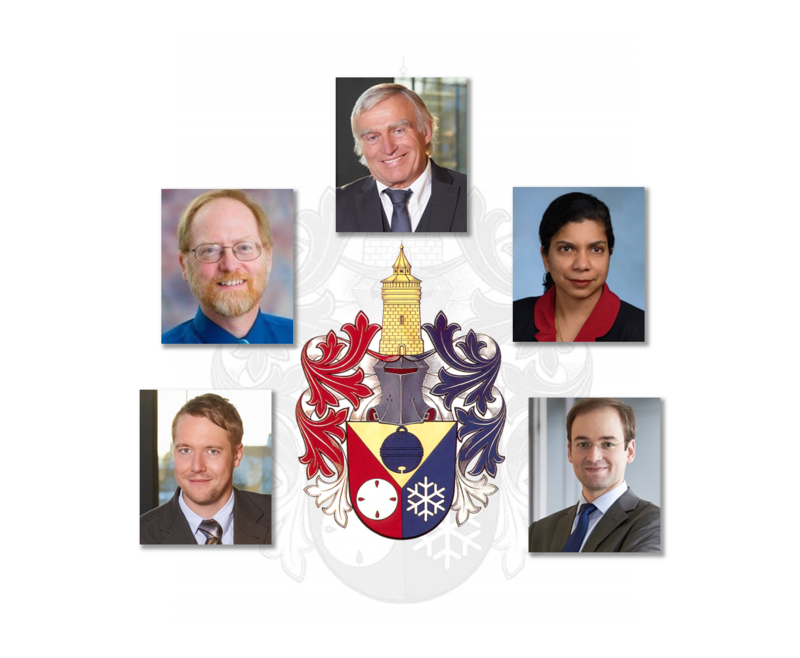 Prof. Ritu Agarwal, Ph.D. (University of Maryland) and Prof. Andy Neely, Ph.D (University of Cambridge) were honored Schöller Senior Fellow. 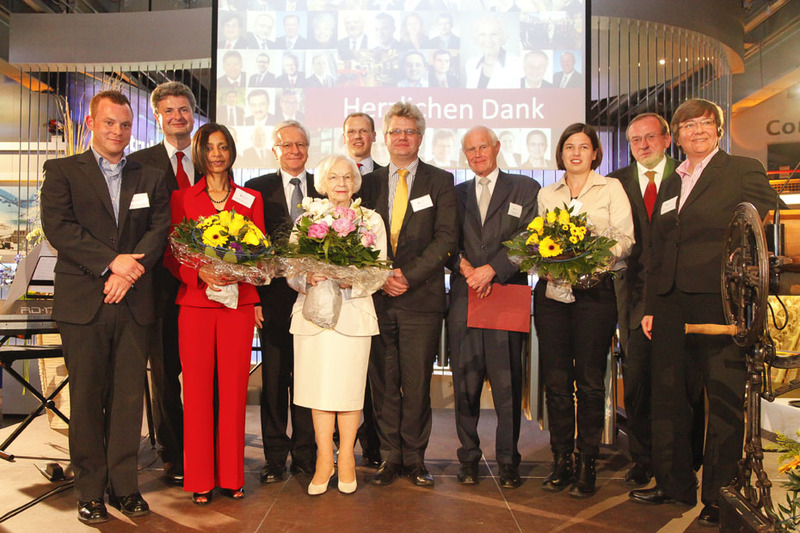 In the category Schöller Fellows Jun.-Prof. Dr. Martin Emmert (University of Erlangen-Nuremberg) and Dr. Nadja Dwenger (Max-Planck-Institute for Tax Law and Public Finances) were awarded. Prof. Dr. Dr. h.c. mult. Peter Mertens received this year’s honorary award for lifetime achievement. The paper “CEO Narcissism, Audience Engagement, and Organizational Adoption of Technological Discontinuities” by Dr. Wolf-Christian Gerstner, Dr. Andreas König (both FAU Erlangen-Nürnberg), Prof. Dr. Albrecht Enders (IMD, Lausanne) and Prof. Dr. Dr. h.c. Donald C. Hambrick (Pennsylvania State University) has just been accepted for publication by the Administrative Science Quarterly. The authors provide a new explanation for the varying responses of established firms to technological discontinuities. Combining insights from upper echelons theory, personality theory, and research on organizational responses to new technologies, they posit that narcissistic chief executive officers (CEOs) of established firms will be relatively aggressive in their adoption of technological discontinuities. Moreover, Gerstner, König, Enders, and Hambrick introduce an important moderator of the effect of CEO narcissism on organizational outcomes: audience engagement – the degree to which observers view a phenomenon as noteworthy and provocative. When audience engagement is running high, narcissistic CEOs will anticipate widespread admiration for their bold actions, and thus will invest especially aggressively in a discontinuous technology. Drawing from recent work on managerial cognition, the authors further hypothesize that CEO narcissism will influence managerial attention to a discontinuous technology; this association, too, will be moderated by audience engagement; and managerial attention to the discontinuous technology will be subsequently reflected in company investments in the new technological domain. Examining the responses of major pharmaceutical firms to the advent of biotechnology over the period 1980 to 2008, the authors find considerable support for their hypotheses. They discuss potential benefits of narcissism, the role of audience engagement as a factor in executive behavior, executive personality as an antecedent of managerial attention, and other theoretical and practical implications. The Administrative Science Quarterly is considered worldwide as the most prestigious scientific journal in the field of management and organization studies. his year, two renowned international scholars, Prof. Ritu Agarwal, Ph.D. (University of Maryland) and Prof. Andy Neely, Ph.D (University of Cambridge), will be awarded Schoeller Senior Fellow. The Schoeller Fellows 2013 are Jun.-Prof. Dr. Martin Emmert (University of Erlangen-Nuremberg) and Dr. Nadja Dwenger (Max-Planck-Institute for Tax Law and Public Finances). The honorary award for lifetime achievement goes to the highly renowned professor of information systems Prof. Dr. Dr. h.c. mult. Peter Mertens. 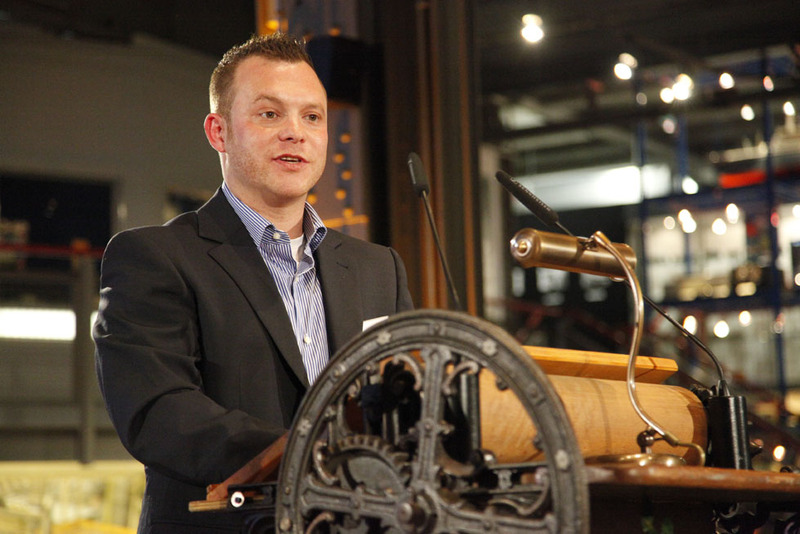 The awarding of the fellowships will take place during the Schoeller Award Ceremony on May 15, 2013 at the Museum for Industrial Culture. The School of Business and Economics at the FAU Erlangen-Nuremberg in cooperation with the city administration of Nuremberg have made a call for proposals for innovative online services and apps for Nuremberg. 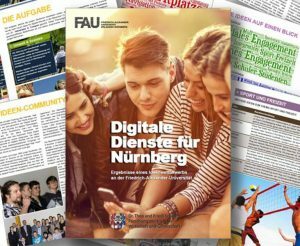 In the course of the idea contest of the lecture “IT- und E-Business”, 1,000 freshmen will develop innovative online services and apps that make life and residence in Nuremberg more comfortable and efficient. Especially the fields “infrastructure and transport”, “culture and tourism” as well as “environment and social issues” will be covered. At the end of the semester, the best projects will be presented to a panel of experts of the initiative for modernization “NetCity” and will be implemented if possible. 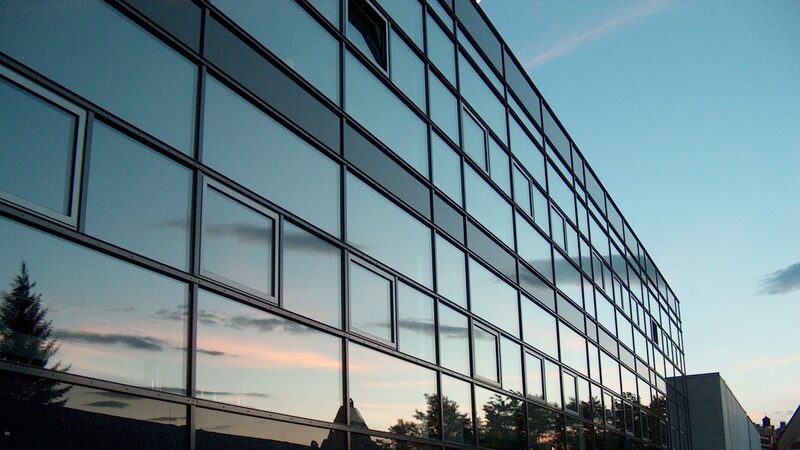 The results will be published in a study of the Schöller Research Center for Business and Society. 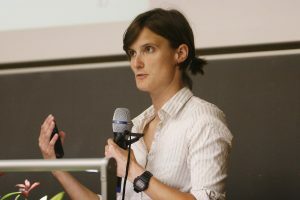 Professor Carol S. Saunders, who was awarded the Schöller Senior Fellowship in May 2012, conducts a Transatlantic Class for Ph.D.-students of the FAU Erlangen-Nuremberg and the University of Central Florida (UCF). The seminar “Exploring Theory” is designed to introduce students to what good theory is and how it might be developed. It is also designed to allow time for students to learn from each other about doctoral programs in Germany and the United States. The first session took place on October 19, 2012 at the School of Business and Economics during Professor Saunders’ visit at the Chair of Information Systems 3. The following four sessions will involve teleconferencing between students at the FAU and the UCF. The seminar continues until November 16, 2012. The article “The Family Innovator’s Dilemma: How Family Influence Affects the Adoption of Discontinuous Technologies by Incumbent Firms” by Schöller Fellow Dr. Andreas König (FAU Erlangen-Nürnberg), Nadine Kammerlander (Universities Bamberg and St.Gallen), and Prof. Dr. Albrecht Enders (IMD Lausanne) was accepted for publication by the renowned A(+)-journal Academy of Mangement Review (AMR). In the article, the authors integrate research on family business and discontinuous change to better explain why incumbents vary in when and how they adopt discontinuous technologies. Family influence induces companies to strive for continuity, command, community, and connections, and thus alters the mix of constraints under which firms operate. Consequently, family influence weakens several of the inertial forces described in the discontinuous change literature, particularly the level of formalization, dependence on external capital providers, and political resistance. However, it also aggravates critical sources of organizational paralysis, specifically emotional ties to existing assets and the rigidity of mental models. The authors aggregate these seemingly contradictory effects to show that, overall, discontinuous change conflicts with essential goals and values of the family system and, therefore, family influence entails fundamentally different dilemmas than those described in extant research. In turn, although highly family-influenced companies recognize discontinuous technologies later than their less family-influenced counterparts, they implement adoption decisions more quickly and with more stamina. Moreover, family influence reduces adoption aggressiveness and flexibility. The authors discuss important implications of our research for conversations on discontinuous change as well as for the debate on the advantages and disadvantages of family influence in firms. Schöller Fellow Dr. Andreas König (FAU Erlangen-Nürnberg), Nadine Kammerlander (Universität St.Gallen), and Prof. Dr. Albrecht Enders (IMD Lausanne) were honored with the Distinguished Paper Award of the Business Policy and Strategy Division of the Academy of Management in Boston for their paper “Organizational Identity and Adaptation to Discontinuous Technological Change: The Role of Focus and Locus”. Their manuscript was ranked one of the five best of a total of 745 manuscripts submitted. The paper will be published in the Academy of Managment Best Paper Proceedings 2012. Using 14 case studies in the publicy branche, the authors induce two central dimensions of organisational identity, focus and locus, and describe the effect of the combinations of these two dimensions of identity on the integrational behaviour of established players on discontinuous change. Schöller Senior Fellow Prof. DDr. Adamants Diamantopoulos has been awarded with the 2012/2013 “Joseph A. Schumpeter Fellowship” by the Schumpeter Society. The Fellowship supports a research stay at Harvard University during the next academic year from September 2012 until June 2013. The “Schumpeter Fellowship” – named after the renowned Austrian economist and political scientist Joseph Alois Schumpeter (1883-1950) – has been announced annually since 1989. 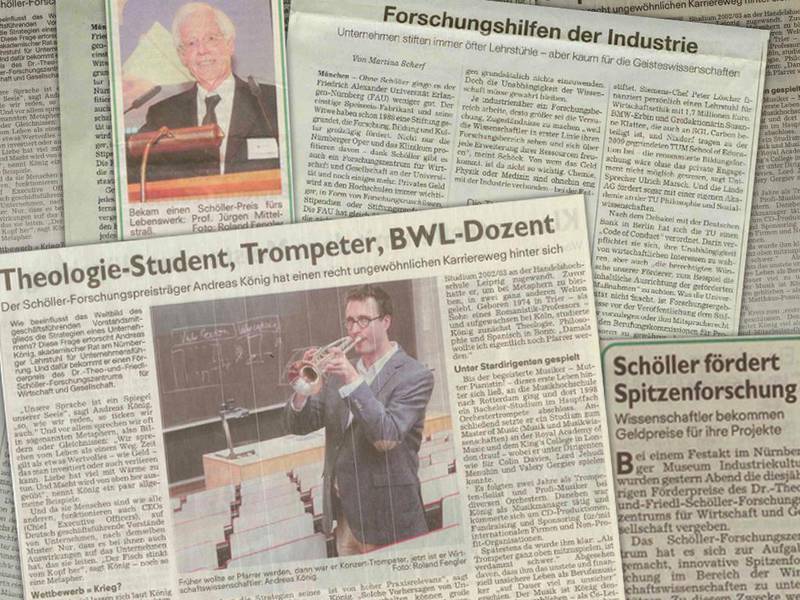 Several articles about the award ceremony and the Schöller Fellows were published in the local press. Dr. König’s Schöller research project is introduced in the “Nürnberger Nachrichten”. The full interview is available here. 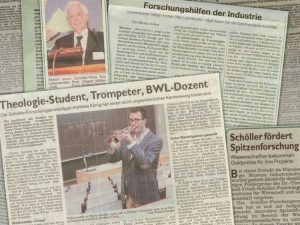 Newspapers also showed exvitement about Prof. Mittelstraß’ keynote speech “Wohin geht die Leonardo-Welt?”, which dealt with the increasing influence of science and technology on the modern world as well as its implications for nature and mankind. In the course of the Award Ceremony of the Schöller Research Center on May 19, 2011 at the Museum for Industrial Culture in Nuremberg this year’s Schöller Fellows were introduced and honored. Prof. Carol S. Saunders (University of Central Florida) was honored Schöller Senior Fellow. In the category Schöller Fellows Dr. Andreas König (FAU Erlangen-Nürnberg), Dr. Andrea Wechsler (Europäisches Hochschulinstitut Florenz), and Hossein Zadeh, Ph.D. (Defence Science & Technology Organisation) were awarded. Prof. Dr. phil. Dr. h.c. mult. Dr.-Ing. 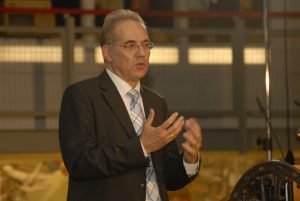 E.h. Jürgen Mittelstraß received this year’s honorary award for lifetime achievement. His keynote speech “Wohin geht die Leonardo-Welt?” dealt with the increasing influence of science and technology on the modern world as well as its implications for nature and mankind. The Journal of Economic Theory has accepted the article „An Experiment on Learning in a Multiple Games Environment“ by Schöller Fellow Prof. Dr. Friederike Mengel and Prof. Dr. Veronika Grimm (FAU Erlangen-Nürnberg) for publication. The paper studies experimentally how players learn to make decisions if they face many different (normal-form) games. 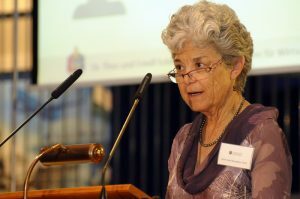 Prof. Carol S. Saunders, Ph.D. (University of Central Florida), who is one of the most distinguished academics in the field of Information Systems, will be awarded Schöller Senior Fellow 2012. The winners in the category Schöller Fellows are Dr. Andreas König (FAU Erlangen-Nuremberg), Dr. Andrea Wechsler (European University Institute Florence), and Hossein S. Zadeh, Ph.D. (Defence Science & Technology Organisation). The honorary award for lifetime achievement goes to the renowed philospher of science Prof. Dr. phil. Dr. h.c. mult. Dr.-Ing. E.h. Jürgen Mittelstraß. 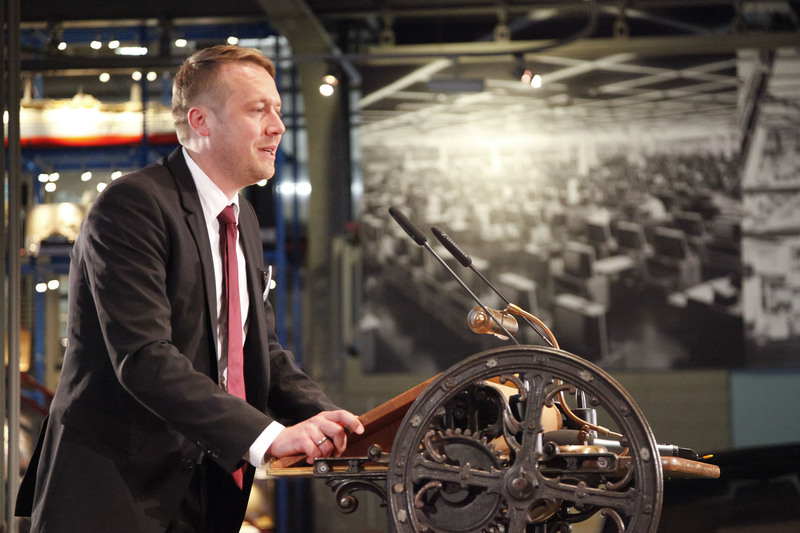 The award ceremony will take place on May 24, 2012 at the Museum for Industrial Culture in Nuremberg. Application deadline is January 31, 2012. 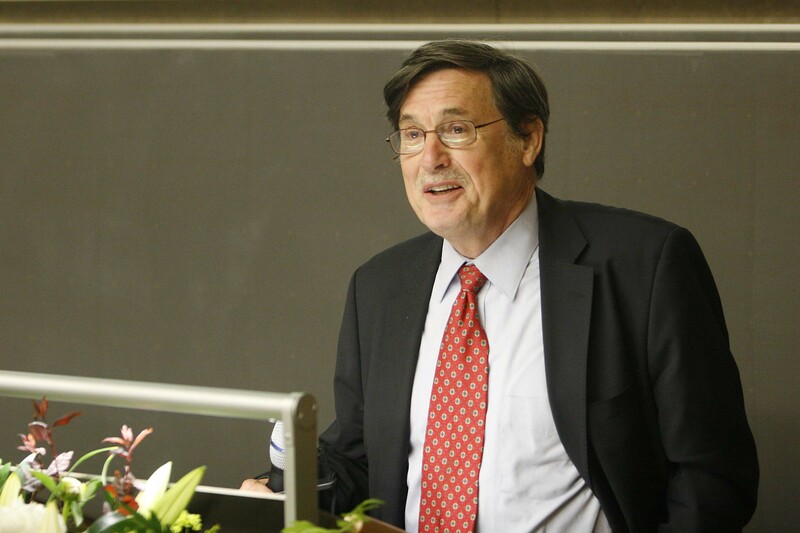 Schöller Senior Fellow Professor Thomas L. Brewer will present results of his Schoeller project on November 16, 2011, at the German-American Institute, in Gleißbühlstr. 9 in Nuremberg. Although efforts to establish a national cap-and-trade system collapsed in the summer of 2010 when the Senate failed to pass key legislation, since then there have been many developments in U.S. climate change policymaking. This presentation reviews the events of the past couple of years and looks ahead to the next couple of years, beyond the results of the 2012 elections. Three central policy areas are covered: pricing greenhouses gases, supporting climate-friendly technologies, and advancing international cooperation. Professor Brewer specializes in issues associated with climate change, including the intersections of climate change issues with international trade, technology transfer and investment issues. His publications include numerous articles in the refereed journal “Climate Policy” as well as chapters in books published by Cambridge University Press, Oxford University Press and other leading publishers. 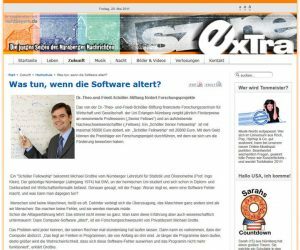 Just in time for this year’s ceremony on May 19, the Nürnberger Nachrichten published an interview with Schöller Fellow PD Dr. Grottke about his project on software faults funded by the research center. 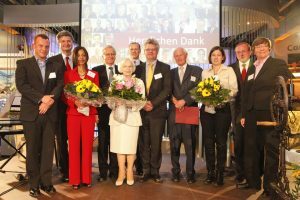 In the course of the Award Ceremony of the Schöller Research Center on May 19, 2011 Museum for Industrial Culture in Nuremberg this year’s Schöller Fellows were introduced and honored. Prof. DDr. Adamantios Diamantopoulos (University of Vienna) and Prof. Imran Rasul, Ph.D. (University College London) were awarded Schöller Senior Fellow. 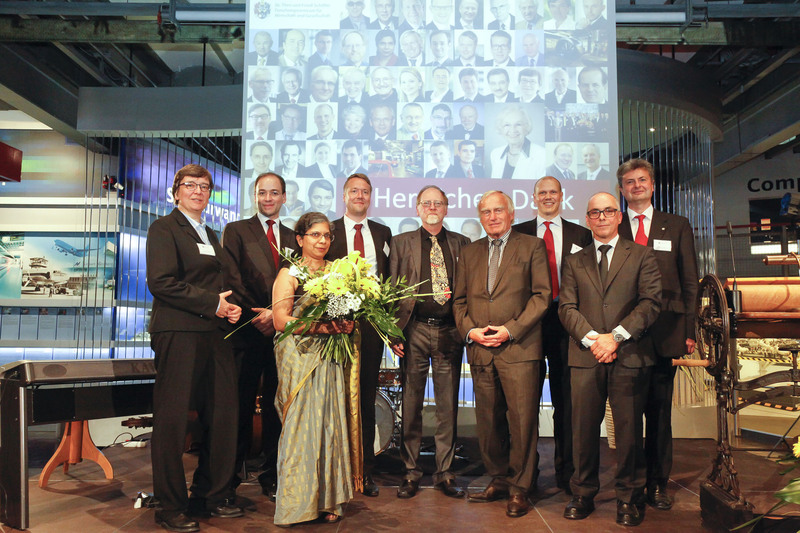 In the category Schöller Fellows Sanjay Chugh, Ph.D. (University of Maryland) and PD Dr. Michael Grottke (FAU Erlangen-Nürnberg) were honored. Prof. Dr. Dr. h.c. mult. Horst Steinmann received this year’s honorary award for lifetime achievement. Prof. DDr. Adamantios Diamantopoulos (University of Vienna) and Prof. Imran Rasul, Ph.D. (University College London) will be awarded as Schöller Senior Fellows. Schöller Fellows 2011 are Sanjay Chugh, Ph.D. (University of Maryland) and PD Dr. Michael Grottke (FAU Erlangen-Nürnberg). Prof. Dr. Dr. h.c. mult. Horst Steinmann will be awarded with the Schöller Lifetime Achievement Award. 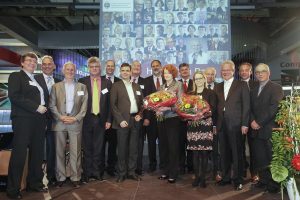 They will all be honored at the Schöller Award Ceremony on May 19, 2011 at the Museum for Industrial Culture in Nuremberg. 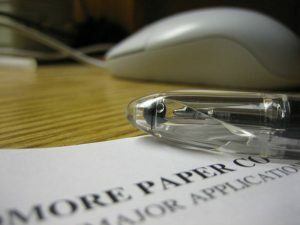 Application deadline is January 31, 2011. In the course of the Award Ceremony of the Schöller Research Center on June 17, 2010 at the School of Business and Economics in Nuremberg this year’s Schöller Fellows were introduced and honored. Prof. John Bessant, Ph.D. (University of Exeter) und Prof. Thomas L. Brewer, Ph.D. (Georgetown University) were awarded Schöller Senior Fellow. In the category Schöller Fellows Dr. Friederike Mengel (Maastricht University) und Dr. Jonas Puck (Vienna University of Economics and Business) were honored. Prof. Dr. Dr. h.c. mult. August-Wilhelm Scheer received this year’s honorary award for lifetime achievement. Impressions of the event can be found at our photo gallery verschaffen. For video, please visit our Youtube-Channel. 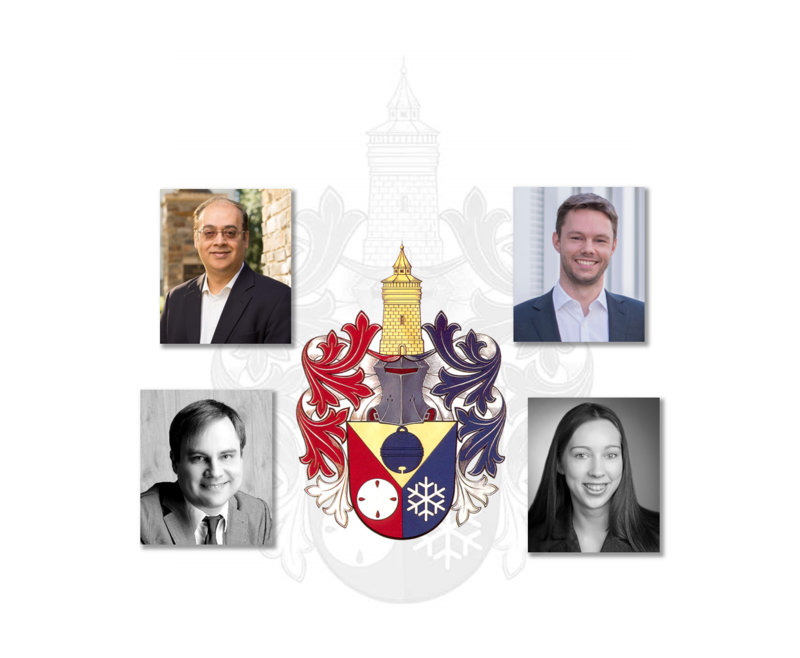 Prof. John Bessant, Ph.D. (University of Exeter) and Prof. Thomas L. Brewer, Ph.D. (Georgetown University) will be awarded as Schöller Senior Fellows. 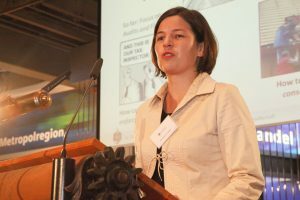 Schöller Fellows 2010 are Dr. Friederike Mengel (Maastricht University) and Dr. Jonas Puck (Vienna University of Economics and Business). Prof. Dr. Dr. h.c. mult. August-Wilhelm Scheer will be awarded with the Schöller Lifetime Achievement Award. They will all be honored at the Schöller Award Ceremony on June 17, 2010 at the School of Business and Economics in Nuremberg. With the announcement of the Fellowships for 2010 on January 1, 2010, the Research Center took up its work. Applications for Schöller Fellowships are open until January 31, 2010 in the following two categories: Schöller Senior Fellowship for renowned international senior scholars and Schöller Fellowship for promising early career scholars (including post-doctoral researchers and outstanding Ph.D. students). For additional information see the announcement. 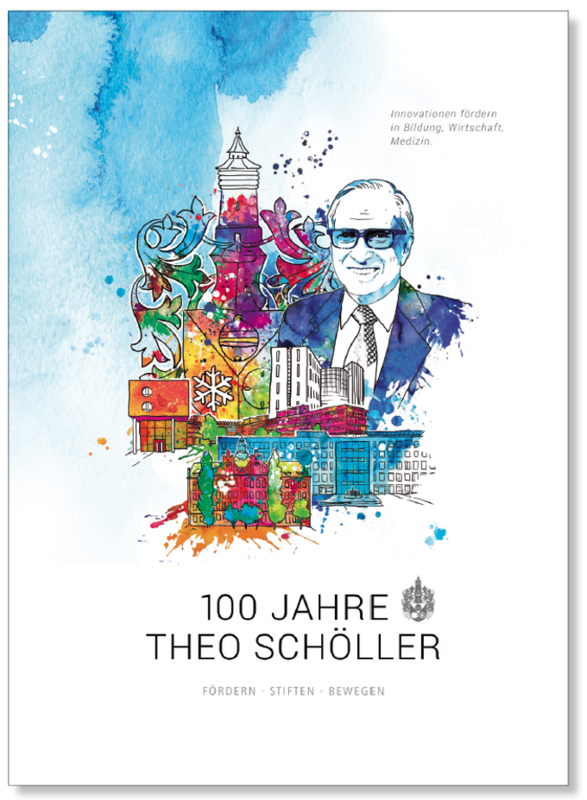 On 1 January 2010, the Dr. Theo and Friedl Schoeller Research Center for Business and Society opens its doors to the public. After almost having finished the extensive preparations, operative activities can kick off in 2010. Together with the Dr. Theo and Friedl Schöller Foundation, the University of Erlangen-Nuremberg establishes a Research Center which internationally links the School of Business and Economics. 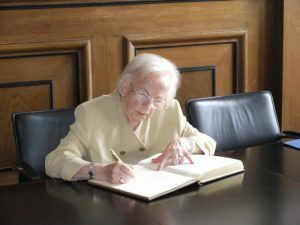 On 16 July 2009, the foundation’s chairwoman, Friedl Schöller, and the head of the University, Prof. Dr. Karl-Dieter Grüske signed the cooperation agreement in his office in the castle of Erlangen. Furthermore, Friedl Schöller inscribed her name into the university’s golden book. The Dr. Theo and Friedl Schöller Research Center for Business and Society is, in this form, unique in Bavaria and serves as a model for interdisciplinary research that strengthens responsible acting in business and society. The foundation funds the project with roughly one million euro. The Research Center establishes Fellowships to invite national and international top-level researchers to Franconia. Thus the researchers can collaborate with the institutes at the School of Business and Economics and act as representatives for Nuremberg’s economic research. Furthermore, junior researchers are given the opportunity to carry out research on their own projects. 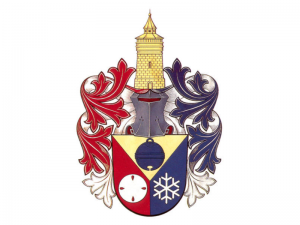 The Dr. Theo and Friedl Schöller Foundation is comitted in numerous ways to the University of Erlangen-Nuremberg and the University Hospital Erlangen.